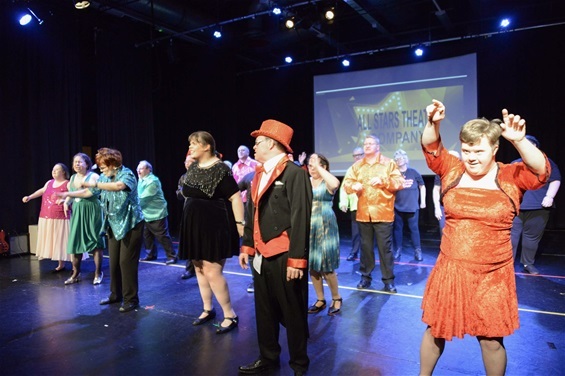 Run completly by volunteers All Stars cast members are all adults with learning disabilities. Performing a minimum of two shows every year to the general public we, also like to show our support at as many local events as possible. This helps our members to see and be seen as useful members of their local community. We also run workshops to act through every day situations that adults with learning disabilities face in their every day lives living in the community. Such as :- Returning goods to a shop, complaints to the council, dealing with verbal and physical abusive and how to report it. Are just a few of the subjects we have tackled! Our aim is to help break down social barriers and improve the lives of these very vulnerable people by improving their confidence and self belief. We work with individuals using fun and friendship in an environment where the less able are supported by the more able, can achieve their maximum potential.